Millions of tourists fall in love with the Mediterranean every year and it’s not difficult to see why. Mile upon mile of gold sand beaches, sumptuous food and drink, spectacular scenery, fascinating culture and history; the vistas alone are enough to keep you entertained for years. But as if that wasn’t enough, whether you want a quiet, romantic getaway or you’re after action and adventure on a break jam packed with water sports and outdoor activities, a Mediterranean holiday has what you’re looking for. It doesn’t matter how many times you visit, there’s always somewhere new to explore, whether it’s ancient ruins on Turkey’s Mediterranean coasts, the trendy resorts of the Spanish Costas, the stunning beauty of the Croatian and Italian coastlines, the vibrancy of northern Morocco or Egypt, the heartland of the Pharaohs. Having decided to spend your holiday in the Mediterranean, you really are spoilt for choice, since there’s something for every taste and budget. If you are travelling with children, a good option is a beach club. Club Vounaki in Greece is a state-of-the-art resort that boasts perfect sailing conditions for anyone wanting to experience any number of water sports under the watchful eyes of qualified instructors. There’s a wide range of land activities too, including tennis, mountain biking, a gym and an adult-only pool. With childcare provided on-site, you couldn’t ask for a better family destination. If you’re looking for excitement and an experience you simply can’t get anywhere else, Egypt is the place for you. Diving in Alexandria is the ultimate adventure you should not miss if you want an unforgettable holiday. There are dives to suit all levels of ability and you will find yourself deep in an underground world of times long past. The modern day harbour hosts the submerged City of Cleopatra, where you can explore ancient buildings first hand and imagine what life must have been like thousands of years ago. You can also discover multiple shipwrecks dating all the way from ancient times to the Second World War. 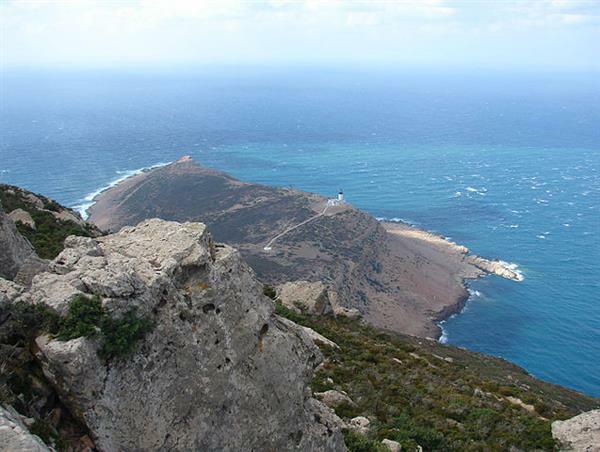 There are many other exceptional activities you should try as you explore the Mediterranean like exploring the coastlines of this region or kite surfing in Tarifa, Spain–Europe’s most southern port town. Situated on the Strait of Gibraltar, it is a top destination for kite surfers, thanks to the strong winds generated through the Strait. If you want to visit Greece but are put off by package holiday deals, an unusual way to explore the Greek islands is to sail yourself between them. There are many holidays available where you can lean to sail in the first week before taking the helm of your boat and wending your way around the waters. Much more rewarding than bedding down in a hotel at night. The Mediterranean has so much more to offer than just water sports, however. The French island of Corsica is dubbed “the mountain in the sea” and has multiple challenges to offer the aspiring mountaineer. Climb along the famous GR20 trail or try your hand at ice climbing within a stone’s throw of the ocean. There are many climbs that overhang the sea if you’re looking for something different – one false step and you fall into the water. Still relatively unknown as a climbing destination, Corsica has over 50 peaks higher than 2,000 metres, plenty to keep you occupied for years to come. There’s so much to see and do in the Mediterranean that the hardest part is deciding where to start. One thing’s for sure, though: once you’ve experienced the delights of the region, you won’t want to leave and you’ll find yourself coming back time and again to discover more about this incredible corner of the globe.